Autumn Perkins - Stand Up, Inc. Autumn is a lifelong resident of Jewell Ridge Virginia where she resides raising her son on the same farm that she grew up on . 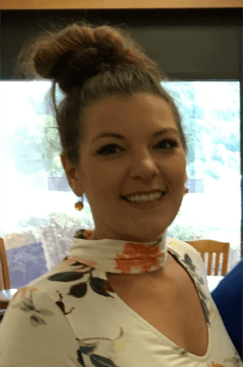 She graduated from Richlands High School in 2005 and attends Southwest Virginia Community College where she continues her education in transition services. Autumn loves the outdoors and consider herself a "jack of all trades". Her favorite hobbies are gardening, hunting for ginseng, riding dirt bikes, painting, raising chickens and making soap. Autumn's passion to help those with various disabilities started as a young child. Seeing the obstacles that her uncle, who was paralyzed, faced in his day to day life and witnessing his desire to seek employment. The favorite part of her job is seeing her clients succeed in areas that they never thought possible.